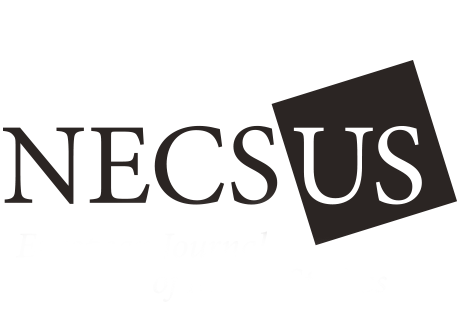 NECSUS accepts both solicited and unsolicited submissions for consideration in addition to book, film festival, and exhibition reviews (see specific submission guidelines for the review section at the end of the page). Prior to developing a complete manuscript authors are asked to submit an abstract (300 words max.) with short bio (100 words max.) and 3-5 key bibliographic sources to the editors, who will make a preliminary decision regarding the topic’s relevance to the journal’s aims and scope and will provide suggestions for developing the manuscript. NECSUS is a blind peer reviewed journal. If you would like a particular member of the Editorial Board to look at your manuscript please note this when you submit your manuscript, but do not send to them directly. Manuscripts for initial review may be submitted with embedded low-resolution images, which facilitates the review process. When submitting a manuscript authors should include a statement indicating that the manuscript has not been published previously and is not being submitted for publication elsewhere. Manuscripts must be under the 6,000 word count limit (including abstracts, references, endnotes, bios, and figure captions) before being considered for review. Reviews must be under the 3,000 word count limit. The editorial process involves peer review of all submitted full-length articles, including those solicited by the editors. Generally each manuscript is reviewed by one member of the NECSUS editorial board and one external peer reviewer. A request for a manuscript by a member of the editorial board is not a guarantee that it will be published. Authors are notified of acceptance, rejection, or the need for revision as soon as possible after submitting the full manuscript. Texts are judged on the basis of relevance to the aims and scope of the journal, originality, rigor of thought and the use of straightforward and precise prose. Texts should be condensed as much as possible and written to be accessible to the interested lay reader. Most manuscripts require revision by the author before final acceptance. Revised manuscripts accepted for publication must be submitted as unformatted word-processed text without embedded illustrations or auto-formatted references and each illustration should be submitted as a separate high-resolution file (see the following section on submission requirements). Texts must be accompanied by a 100-word abstract, 4-5 keywords, and a 100-word bio. After a manuscript is accepted, it is edited at the editorial office and returned to the author for approval prior to publication. Submission of an article is taken to imply that it has not been previously published internationally and has not been submitted for publication elsewhere (this does not include commissioned translations). The author remains the owner of the copyright on his/her own work. As author you are responsible for obtaining written permission and meeting any related costs for the use of all materials under copyright (such as illustrations and texts) and for the correct acknowledgements for use. AUP can provide guidelines for requesting legal permission for images and quotations. Submit files in Word (‘97-’10). Single space after full stop. Serial commas (e.g. one, two, and three). Paper size 8.5×11, align text left. Use Times New Roman, 12 pts for text and Arial, 9 pts in illustration captions. Spelling should conform to British practice (-ise, not -ize) and follow the Oxford English Dictionary. If you wish to use American spellings, please agree to this in advance with your editor and follow the Webster’s English Dictionary. Submit text with as little ‘formatting’ as possible. If you want a word to be italicised, italicise it in the manuscript. If you want a word to be bolded, set it in bold in the manuscript. The same goes for small capitals and other special formatting. Other than that, refrain from using layout. Artwork titles should be italicised and in the original language (English translation in parentheses, along with year of production). Quotations longer than one sentence should be separated from the text. Do not use Harvard style in-text referencing. Only endnotes are allowed (Times New Roman, 10 pts). They may be submitted in the standard word-format as part of the text. Keep their number and length limited. Submit (end) notes using Arabic numerals (1, 2, 3, 4, 5, 6, 7, 8, 9…), single-spaced. Endnote referencing as follows: Johnson 2012, pp. 10-15. For texts by multiple authors: Smith & Wilson 2010, p. 6. Only use abbreviations when it is strictly necessary. Only numbers under 20 should be written out as words (so, nineteen but 345). You may depart from this rule when numerals or numbers form the main part of the text. Be consistent in spelling and transcribing foreign names (for instance, either ‘Dostoyevsky’ or ‘Dostoevskii’, but not both). Use extra lines of space only when absolutely necessary. Use single quotation marks (‘ ’) and inside that quotation grouping, use doubles (“ ”) when needed. Add headings where relevant, making a clear distinction between heading levels. Submit all tables, diagrams, and figures as separate attached jpeg files. These should be numbered consecutively; indicate in the text where exactly you want the tables etc. to be inserted and incorporate in the main text on a separate line: ‘ Table #’ and the desired caption text. Submit figures and diagrams separately in their original format and not as a Word file. Please include a short bio (in italics) of no more than 150 words at the end of your text immediately before the References section. Submit all images (named Fig 1, Fig 2, etc.) as separate attachments. Indicate their appropriate location in the text and incorporate, on a separate line: ‘Fig. #’ and the desired caption text. A maximum of 10 images can be submitted for each article. Only digital images are accepted. Digital images must have at least 300 dpi (dots per inch) with a maximum pixel width of 940. Files with the formats TIF, EPS and JPG are suitable; PDF files will not be accepted. The production coordinator will determine the quality of the digital images. Large digital files cannot be sent by e-mail but rather a file sharing service. AUP’s e-mail server allows a maximum of 10 MB per e-mail/attachment. NB Colour may be used, but keep in mind that de PoD version and the .pdf prints for users at home will be black and white. Use contrasting colours or symbols if possible. Offer alternative paths through your article. However, remember that articles can be published in Printing on Demand and they need to be suitable for paper version as well as for digital version. Files are linked together in various ways. We may also add links to your article once it has been submitted to us. If you would like to include video clips in your article, please provide us with an embed code and the particular location where the clip should appear. Grouped in author last name-alphabetical order at the end of the essay. Lower case and italics: article titles should use single quotation marks, plain text; book and journal titles should be in italics. Page numbers are required for articles in journals and separate articles in books (see examples below). Author. Title of book. Place of publication: publisher, date: page numbers. Artel, L. Visual or plastic arts. London: John Doe Press, 2002. Jones, P. Criticism and cinema: Studies and methods in thinking and writing about moving images. New York: University Press, 2011. _____. Criticism and cinema 2: The subject of the screen. New York: University Press, 2012. Smith, T. and Franklin, F. ‘The properties of production’ in The task of the producer, edited by D. Wright and T. Johnson. Tokyo: College Press, 2007: 55-65. Include name of editor or translator, edition, date of original publication and any other pertinent information. Include page numbers of quotes. Author. ‘Title of Article’, Name of Periodical, Volume Number, Issue Number, date: page numbers. Artel, L. ‘Art and Technology’, Leonardo Journal, Vol. 39, No. 1, 31 January 2005: 435-441. Include both volume and issue numbers. Include page numbers of quotes. Please insure that hyperlinks are working properly. Read about review submissions if you are interested in writing a book, festival or exhibition review.